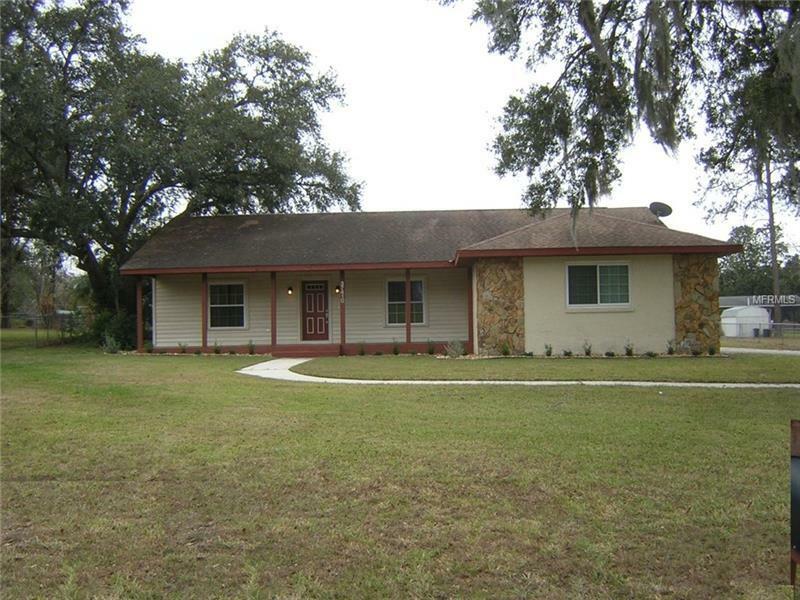 37410 Hickory Hill Lane Dade City, FL. | MLS# E2205601 | Real Estate Sales & Property Mangement in Dade City, San Antonio, Wesley Chapel, Brooksville, Homosassa, & Bushnell. Beautiful upgrade home in very a great neighborhood of Hickory Hill Acres. This home has an open floor plan & decorative molding throughout. Solid wood floors in the Den and Living areas, tiled kitchen & carpet in the bedrooms. Granite counter tops in kitchen & baths. Home also features 2 car garage plus a 400 sqft workshop/garage with electric. Large fenced backyard, near schools & hospital. Located on dead end paved street.